Fish Fact: Angelfish are freshwater fish originating from the Amazon River basin in South America. Trivia: The name of “The Little Mermaid” in Disney’s adaptation of the Hans Christian Andersen story. Trivia: Dory is the fish with “short-term memory loss” in Disney’s “Finding Nemo”. Tip: This is one of the most popular goldfish names. It’s not original, but it’s definitely fitting! Meaning: In Greek mythology, Hydra was a water serpent with nine heads, each of which, if cut off, would grow back as two. Tip: This name is inspired by colorful, shiny fish scales – a perfect pet fish name for your exotic fish. Tip: Like “Jewel”, this name is inspired by the beautiful iridescence of fish scales. Trivia: The name of the movie starring Darryl Hanna as the beautiful mermaid who comes ashore. Meaning: Food made of rice and vinegar and often topped with raw seafood. This is one of our favorite female pet fish names! Fish Fact: A species of small, freshwater South American fish. Many, such as the neon tetra, are brightly colored and make popular aquarium fish. 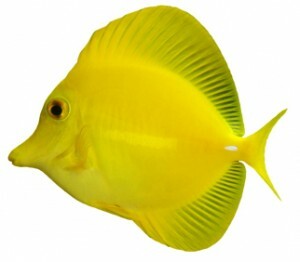 Movie Notable: Wanda is the beautiful Angelfish in the film “A Fish Called Wanda”.